I made a couple more busy rolls recently, and I'm really quite chuffed with how they turned out. These are an idea I came up with, sort of like a busy book or a quiet book, but only one page that can be rolled up and put in your handbag and then used when you're out for coffee or doing your groceries. You could put any activity you like on them, or have a couple of different rolls that you rotate through to keep your toddler interested. 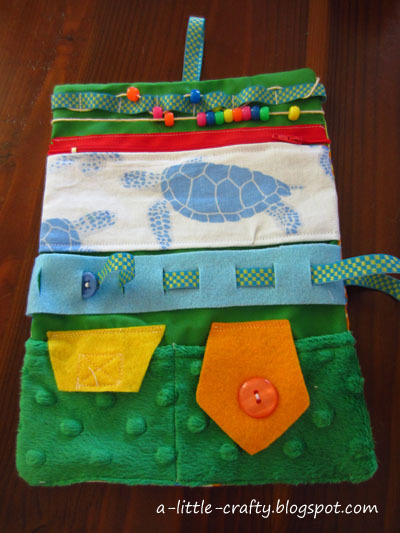 I filled the pockets with finger puppets, but you could put anything in that you think would interest your child; little cars, animals, dolls etc. ** Please note that there are small items on this, if they were to come loose, they could be a choking hazard. 1. 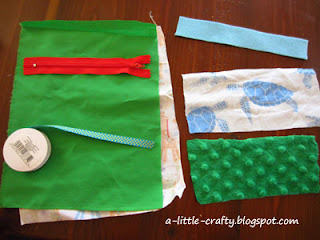 Collect together some fabric scraps. 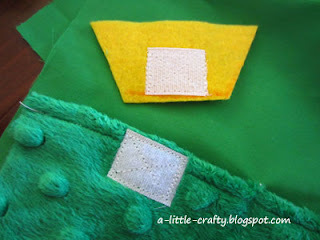 2 small pieces of felt to use at pocket flaps, maybe 3 x 1.5 inches. 2. 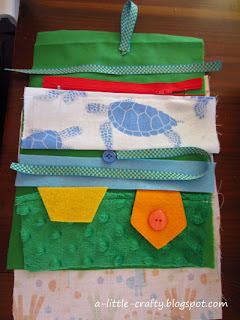 Lay the bits and pieces out and sort them until you're happy with the layout. 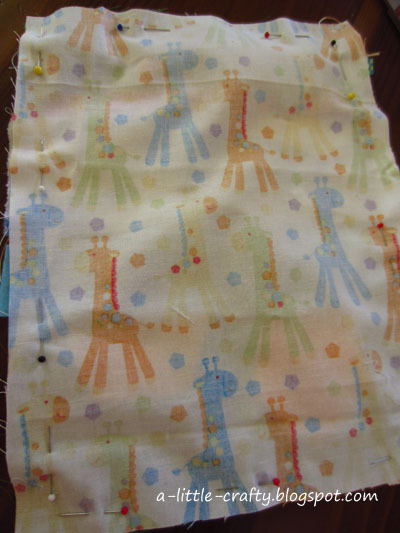 Sew hems on the top of the pockets, and fold the bottom of the top pocket under and iron a crease into it. 3. 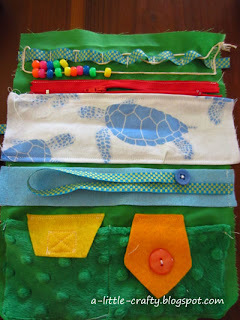 Sew the zip to the top of the pocket. 4. Thread the beads onto the string and tie a firm knot in the string, making a loop long enough to go twice across your main fabric. 5. Cut slits on your long strip of felt. 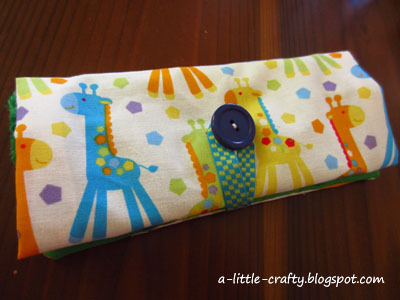 They need to be wide enough for your button to fit through, and should be spaced approx. 1 inch apart. 6. 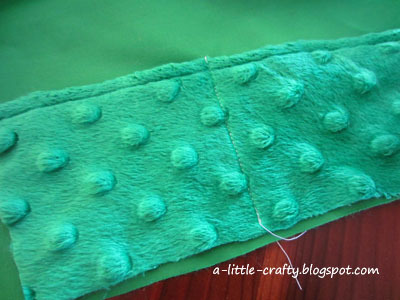 Sew a seam down the middle of you bottom pocket, fixing it to your large piece of fabric. 7. 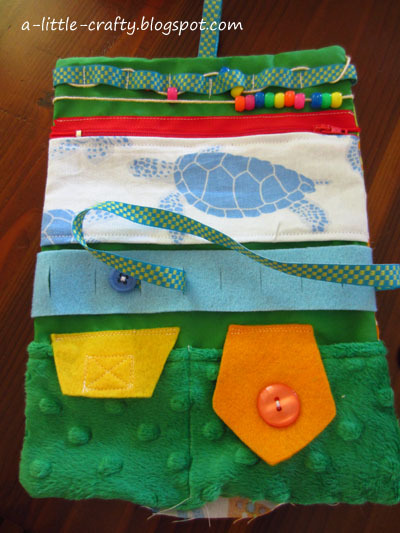 Sew a square of velcro/ hook and loop onto one side of the bottom pocket, and a matching square onto one of the felt pocket flaps. 8. 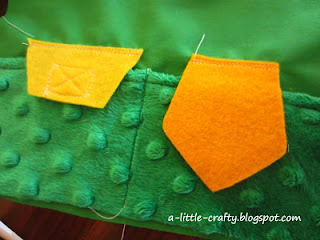 Sew the two pocket flaps in place. 9. Sew a button onto the other side of the bottom pocket, and cut a slit through the pocket flap large enough for the button to fit through. 10. 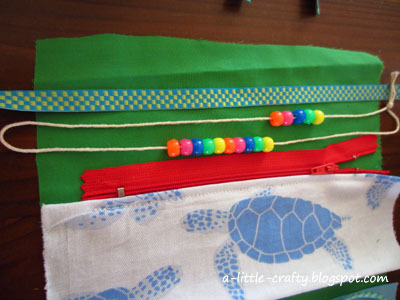 Sew a strip of ribbon on, sewing it down every inch or so. 11. 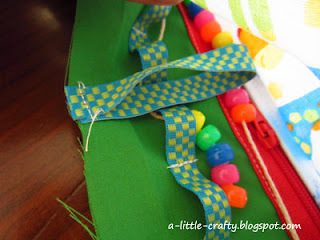 Sew the string firmly to the fabric, such that one half of the string winds its way back and forth under the ribbon, and the other half forms a straight line to the other side of the fabric. 12. Sew the top side of the zip down, and the bottom side of the zip pocket. 13. 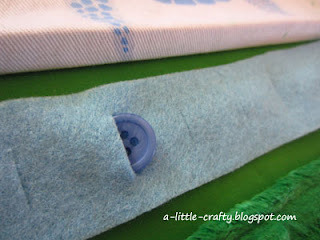 Sew a button firmly onto a piece of ribbon which is approx 30cm (i.e. longer than your fabric is wide). 14. Sew the ribbon and felt strip in place. 15. Sew a small strip of ribbon to the top of your fabric, with the loop pointing down (I forgot to do this before the next step, hence the shot looking inside the inverted busy roll). 16. Place your backing material over your fabric with all the activities on it, right sides facing in. 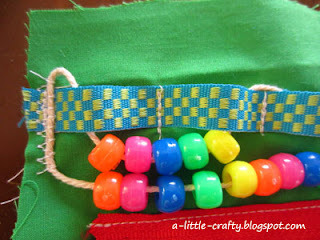 Pin and sew together. leaving a hand sized gap at the bottom. 16. 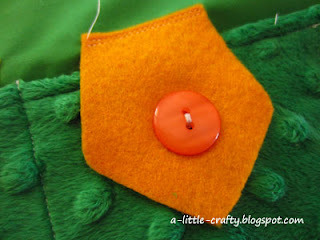 Turn right sides out, and roll it up to find the right spot to sew a large button on the backing fabric. The top loop will hook over this button to keep the roll closed. 17. Sew the bottom of the fabric together. If you make your own, I'd love to hear about it.